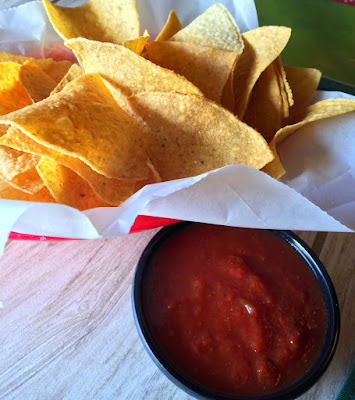 I love Mexican food, and when I first suggested to Nat that we have lunch at Mexico Cantina, she was very hesitant, but after realizing it was a sister restaurant to one of her favorite restaurants, Mexico Restaurant (as well as Mexico Lindo), she couldn't wait to give it a try. Although I thought the salsa was a bit too "soupy," it tasted great with the chips (only first serving of chips & salsa is free). 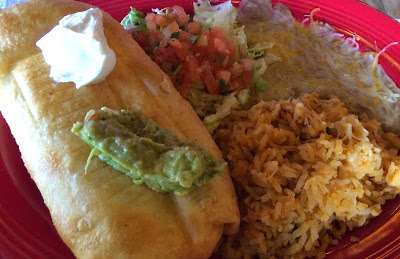 I had the chimichanga, something I usually order at Mexican restaurants, and it was great. 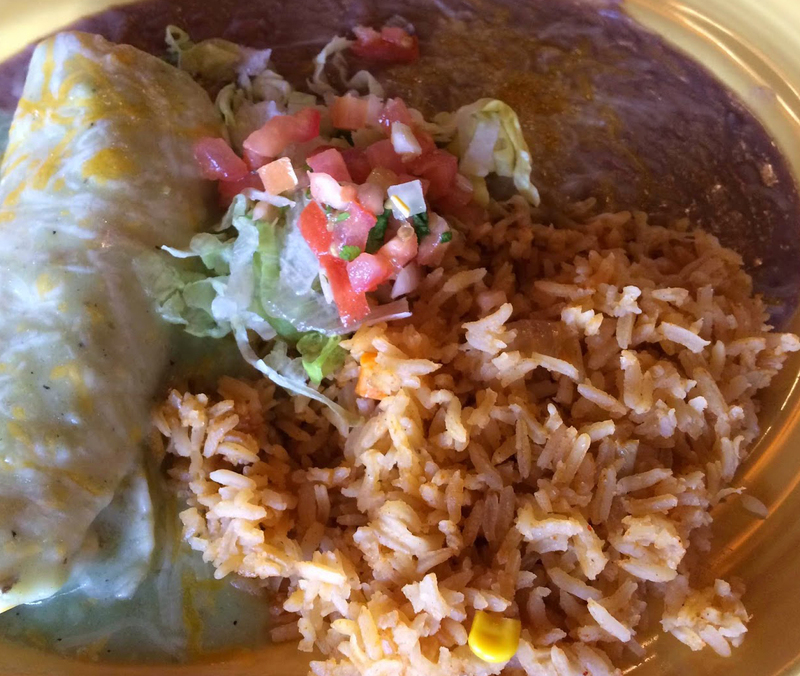 It was huge - stuffed with a lot of cheese and chicken that was seasoned really well, and was accompanied by Spanish rice, beans, salsa fresca, sour cream, and guacamole. 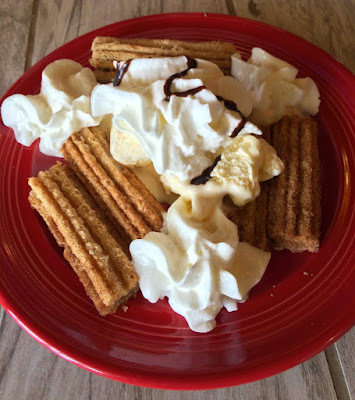 For dessert we decided to share the special dessert of the day - Churros with Ice Cream. It was a delicious way to end lunch. Service was good, the food came out really quick, and overall I thought the food was great.